First Day of New School Year. Last September 5th was the first day of classes for Claire’s 5th grade. 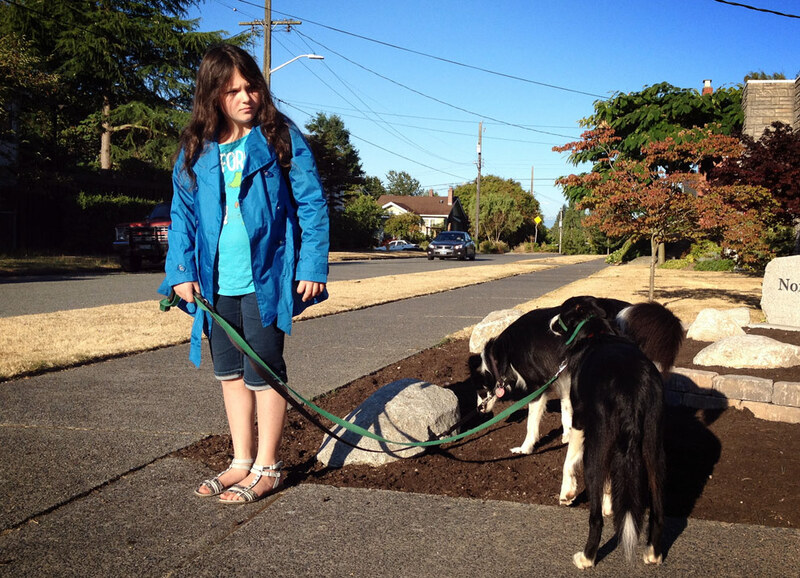 It was a beautiful sunny and warm day as she walked her two border collies to school. This entry was posted on Thursday, August 29th, 2013 at 4:53 pm	and is filed under LIFE and tagged with Family Pictures, Portrait photographer, Seattle Photographers. You can follow any responses to this entry through the RSS 2.0 feed.